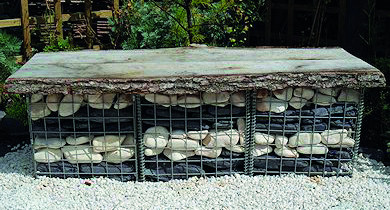 Gabion baskets can be used within your garden to create a unique and tailored look in the form of a wall or seating area. Recently we have noticed these baskets are becoming a popular landscaping feature. 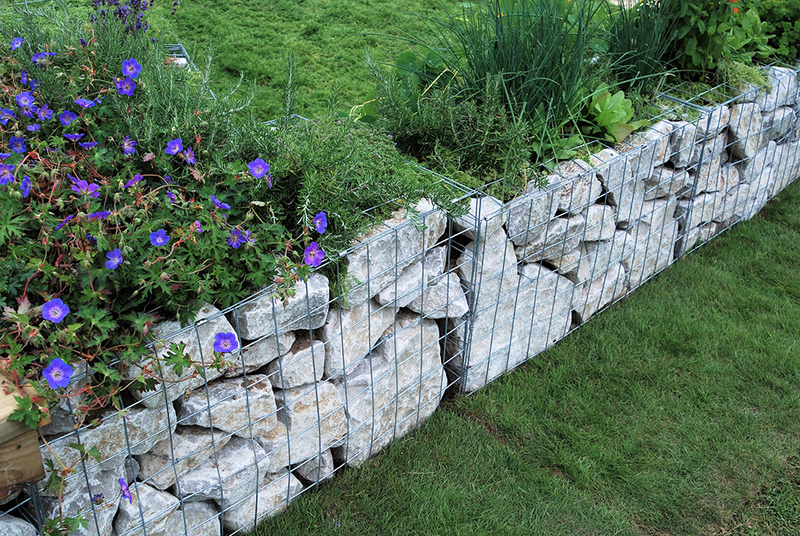 Therefore at Stone Warehouse we supply a range of gabion baskets in different sizes. This ranges from a small 27cm cube which is ideal for smaller spaces to our largest 75cm cube which can be used for seating or creating a retaining wall in bigger landscaping projects. 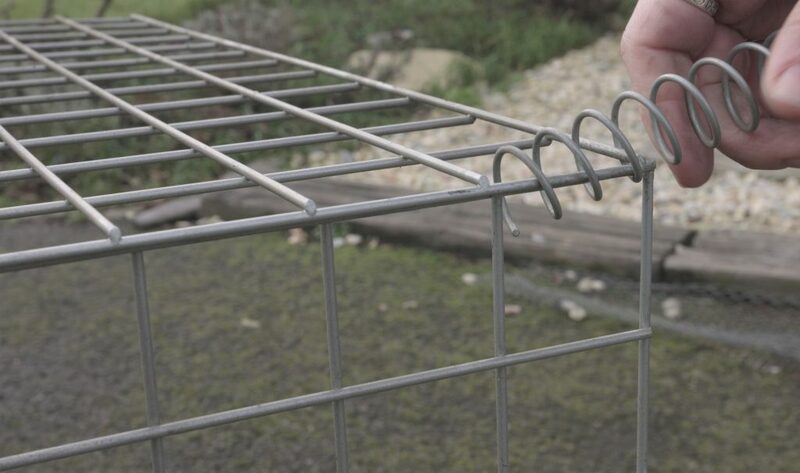 Additionally all our baskets are made of galvanised steel so are extremely hardwearing and rust resistant, making them perfect for any space. So to help our customers create this on trend landscaping feature we have created a step by step guide. 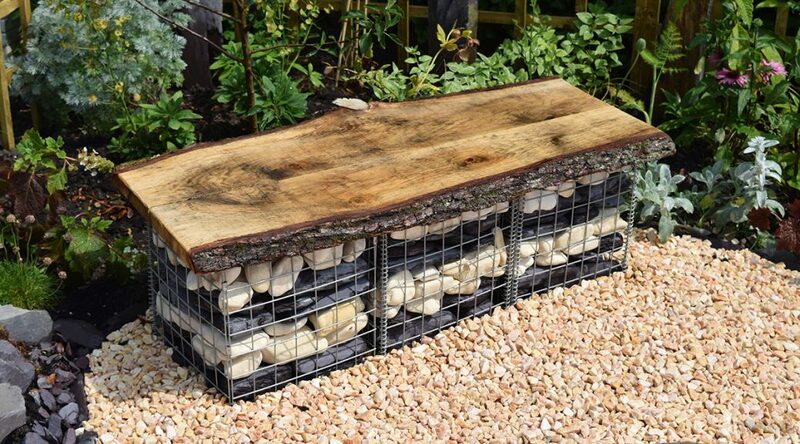 Before creating your gabion basket feature clear a solid, flat and stable surface for the baskets to sit on. Additionally if you’re creating a seating area you will need to level the ground. 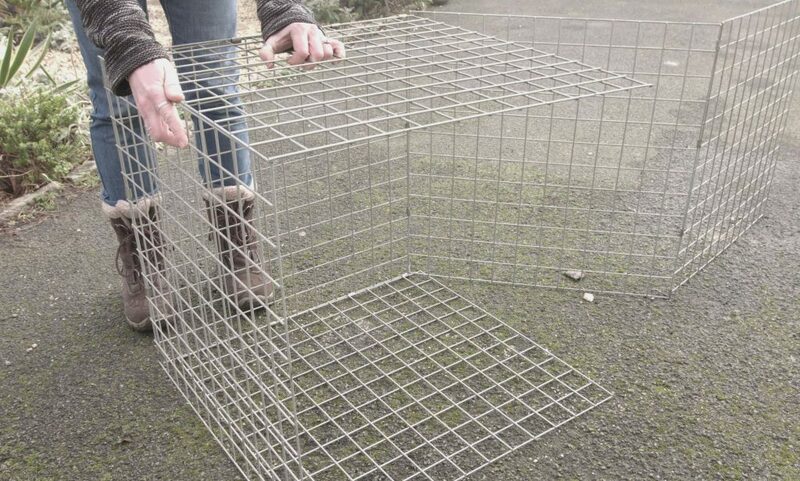 As your gabion basket will arrive flat packed you will need to assemble it. Firstly raise the face panel and a side panel so they are in a vertical position next to each other. Then helical the joints together, ensuring the last turn at either end of the helical is turned through 90 degrees with pliers to lock into position. Finally helical the back and other side panels together in the same way. The type of stone you use is important as you don’t want anything that will fall through the gaps. We recommend using cobbles, paddlestones or boulders, all of which must be over 50mm (5cm) in size. We find using one colour of stone can work well if building a wall. However layering can help create a highly decorative feature or unique overall pattern. The top picture features our Large Slate Paddlestones and Cotswold Cobbles and the below picture shows a product similar to our Longstone Rockery. Additionally it isn’t necessary to fill all the gaps between stones but do fill horizontally and fully to the top to prevent bowing if weight is applied from above. If you are building a bench, we recommend finishing off with a wooden seat and cushion for that added touch. 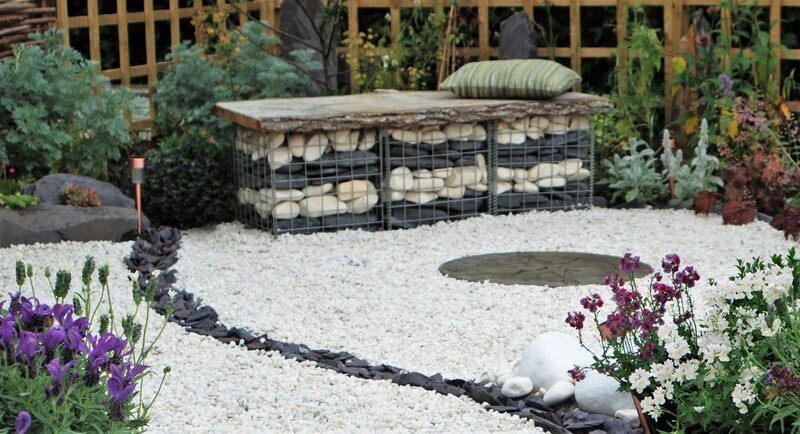 If you want more information on creating a gabion basket, download our handy ‘How To’ guide here or watch our useful ‘How To Create A Gabion Basket’ video here.